Alipurduar is a municipal city and the district headquarters of Alipurduar district in north Bengal in the Indian state of West Bengal. Situated on the east bank of Kaljani River on the foothills of the Himalayas, the town is a gateway to Bhutan and northeastern states of India. The history of Alipurduar (named after Hedayet Ali) can be reconstructed from the writings of J.F. Grunning, J. A. Milligan, D.H.E. Sunder and Sailen Debnath. After the second Anglo-Bhutan War in 1865, according to the Treaty of Sinchula, the eleven Bengal Dooars were annexed by the British. The seven Assam Dooars had already been occupied by the British in 1942. Colonel Hedayet Ali was posted as the commander at the military settlement on the bank of the River Kaljani. The entire tract of land of the Buxa Dooar was leased out to Hedayet Ali on his superannuation and the growing town adjacent to the military settlement began to grow as well. 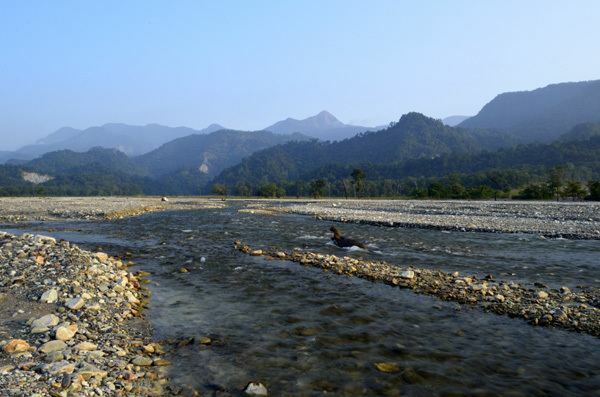 According to Debnath, the military settlement in the town of Alipurduar, in course of time, increasingly turned to be less important because of the fast growth of military cantonment at Buxa Fort in the north of the town and the Chila Roy Barrack in Cooch Behar. Later with the expansion of tea plantation and set up of railway lines, Alipurduar began to be important in terms of communication and administration as it is estimated that 78% people are East Bengal rooted . The partition of the country in 1947 led to the immigration of refugees from East Bengal and the growth of population in the town of Alipurduar. In the 2011 census, Alipurduar Urban Agglomeration had a population of 127,342, out of which 64,898 were males and 62,444 were females. The 0–6 years population was 10,545. Effective literacy rate for the 7+ population was 89.16 per cent. 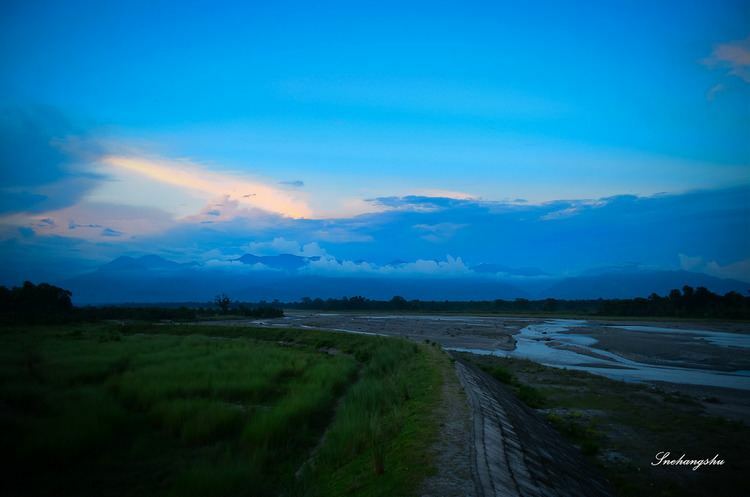 In the earlier As of 2001 India census, Alipurduar had a population of 73,047. Males constitute 51% of the population and females 49%. Alipurduar has an average literacy rate of 78%, higher than the national average of 59.5%; with 54% of the males and 46% of females literate. 10% of the population is under 6 years of age. There are 4 railway stations in the city. 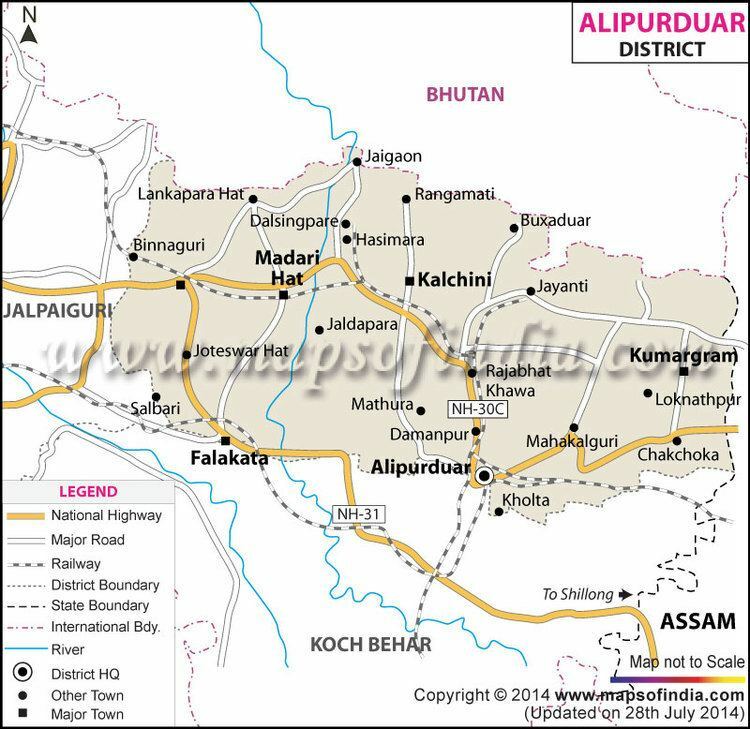 Major 2 stations are Alipurduar Junction railway station/APDJ in the North and New Aliprduar Railway Station/NOQ in the East. Other 2 stations are Alipurduar Railway Junction/APD in South and Alipurduar Court/APDC in Central.